Food Day Nibbles, part 2 | What's not to like? To celebrate National Food Day at the end of October, our elementary and junior high schools presented 14 workshops about agriculture, nutrition and cooking to which students rotated all day. 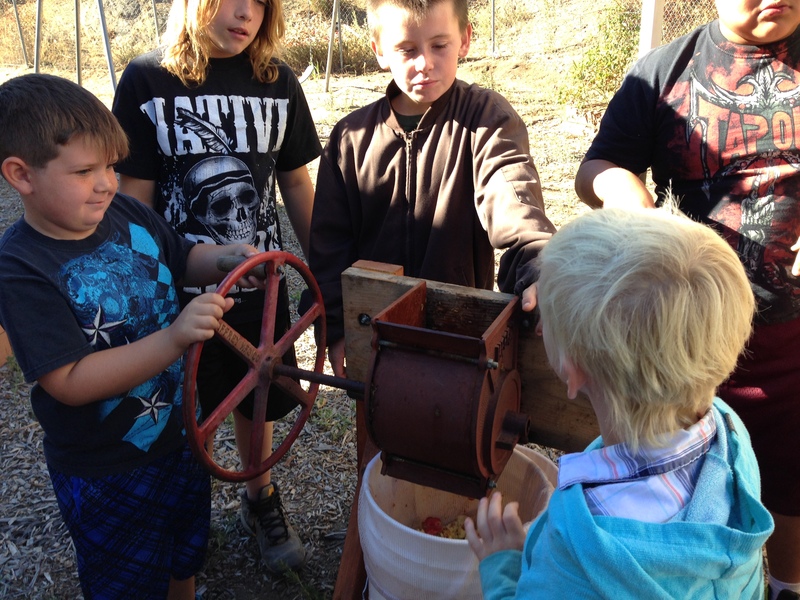 Here’s a taste of all of the hands-on learning that happened. 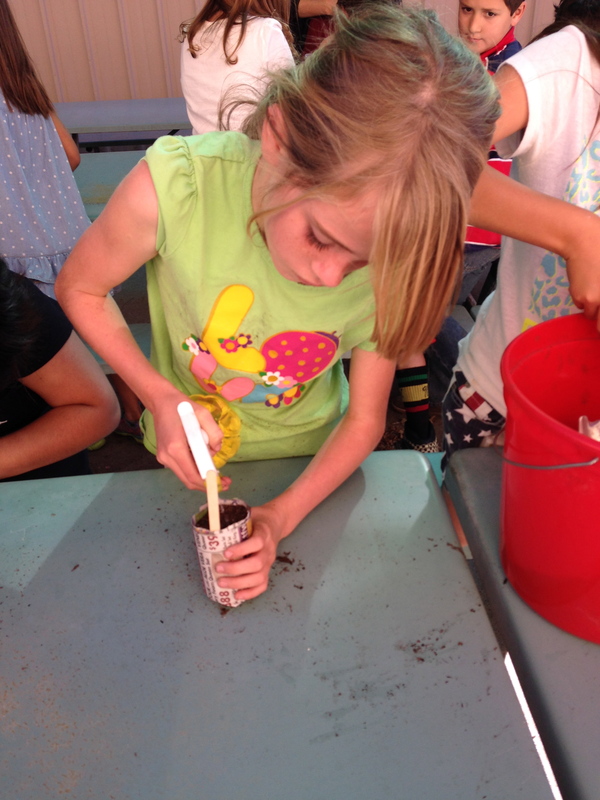 Resource Conservation District of San Diego joined us for the first time to teach kids to make pots out of newspaper and plant herb seeds for windowsill gardens. 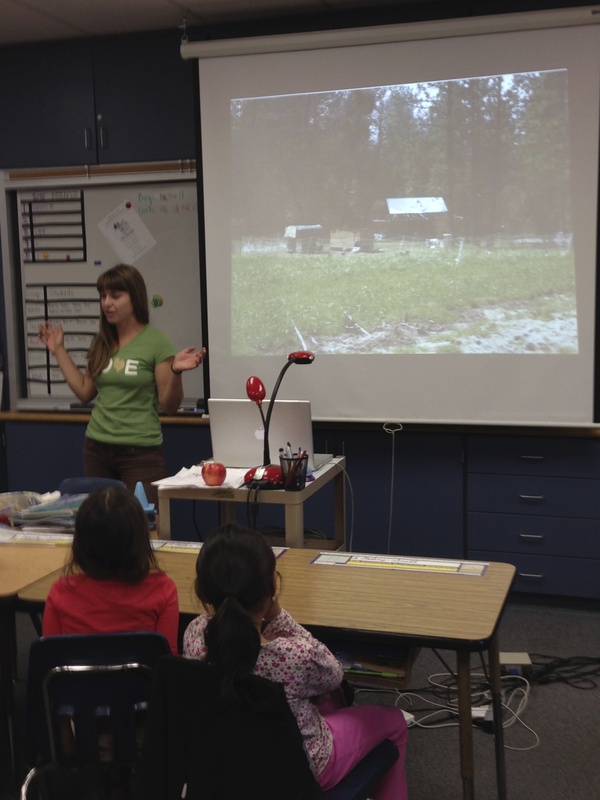 Julian schools alumna Jill talked about growing up in Julian, going to UC Santa Cruz and starting her own farm, Mountain Chickadee Farm . 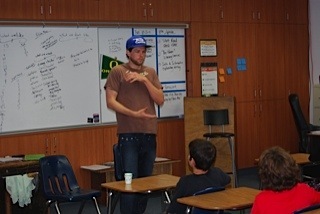 Chef Greg from Healthy Adventures Foundation taught another wonderful cooking class. 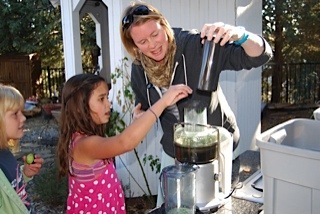 Camp Stevens headed up a workshop on making fresh smoothies. 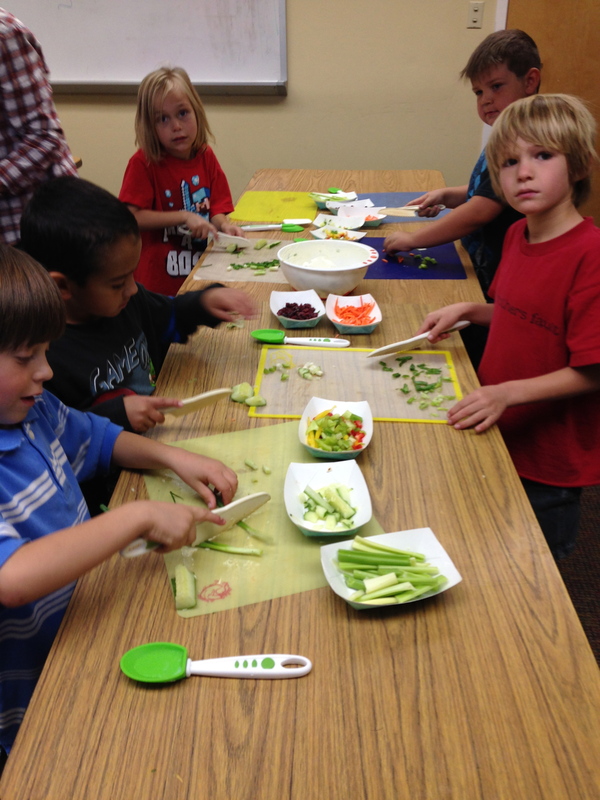 Very hands on with the kid-safe knives! 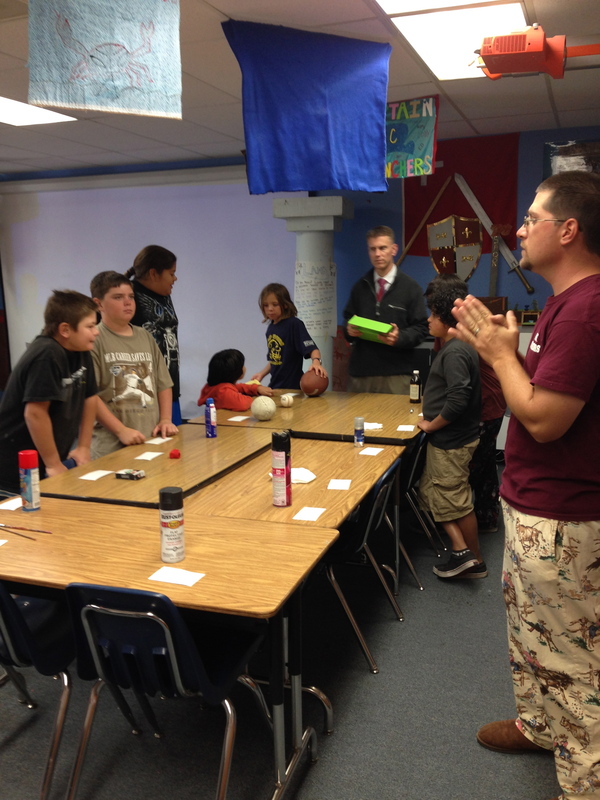 Mr. Martineau led a fun and educational workshop on the use of animal byproducts in everyday products, having students guess ingredients. 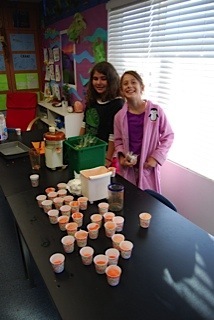 Also included: how many bug parts in different foods—perfect for junior high! 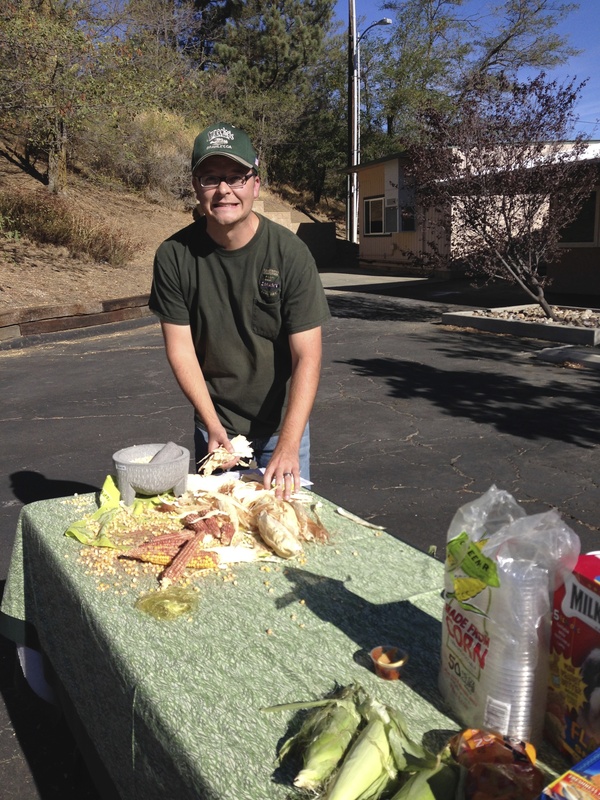 UC Regent’s Farm Smart program once again joined us and presented another excellent hands-on workshop on corn. 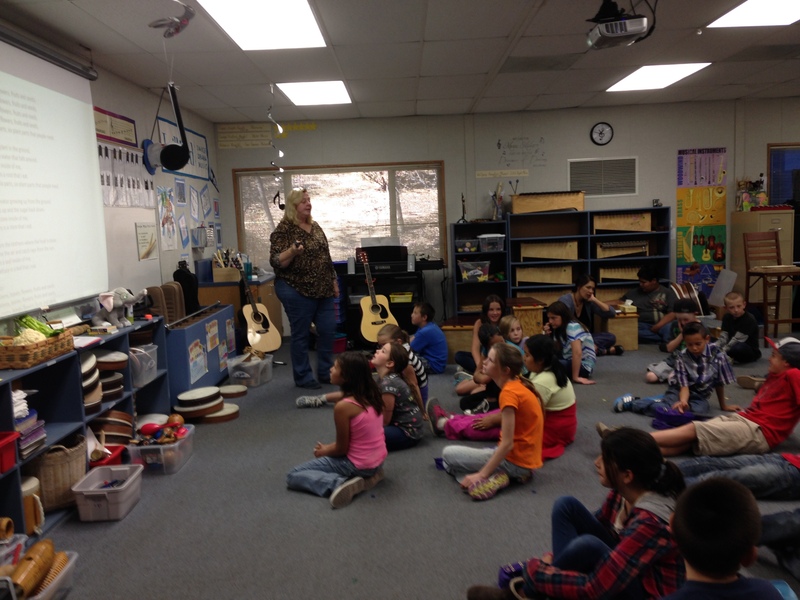 Mrs. Croman taught a special music class with food songs! 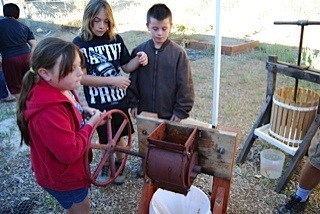 Kids pressed their own apple juice from local fruit, with help from the Julian Apple Growers Association. 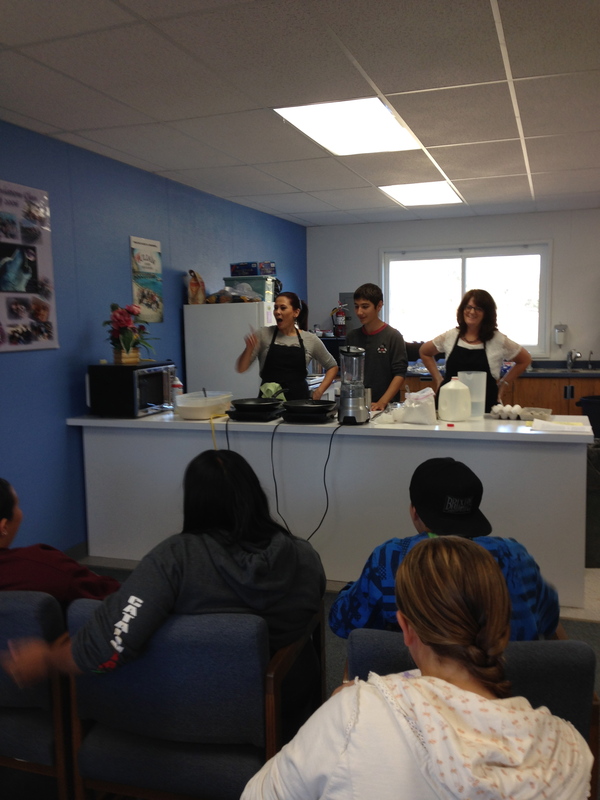 The amazing Mrs. Cantor taught the kids to make sweet and savory crepes. Later in the day volunteers delivered extras to all of the volunteers and staff. Final count: 280 dinner plate sized crepes. 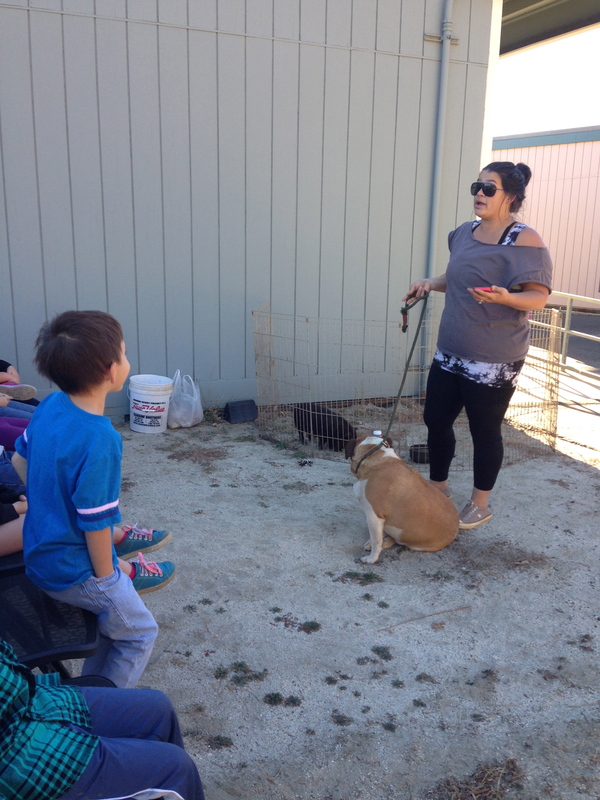 Local family and farm Cook Pigs joined us, talking about their sustainable operation and letting kids interact with their dog and piglet Chewbaca. 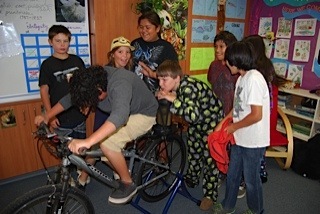 Juicing seminars, with the bicycle blender out for a spin! 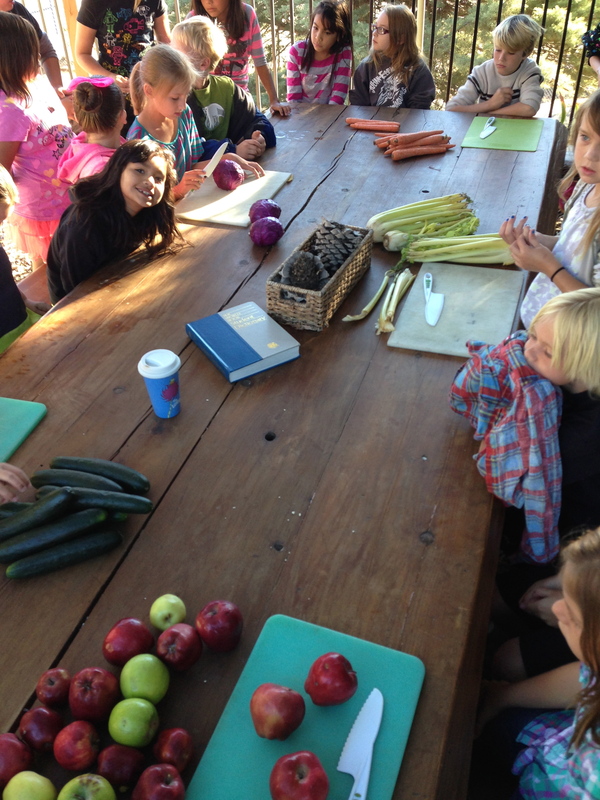 All students returned to their classrooms to write about the day in their garden journals. We also extended Food Day into our after-school program with more cooking classes and a fieldtrip to a local restaurant. 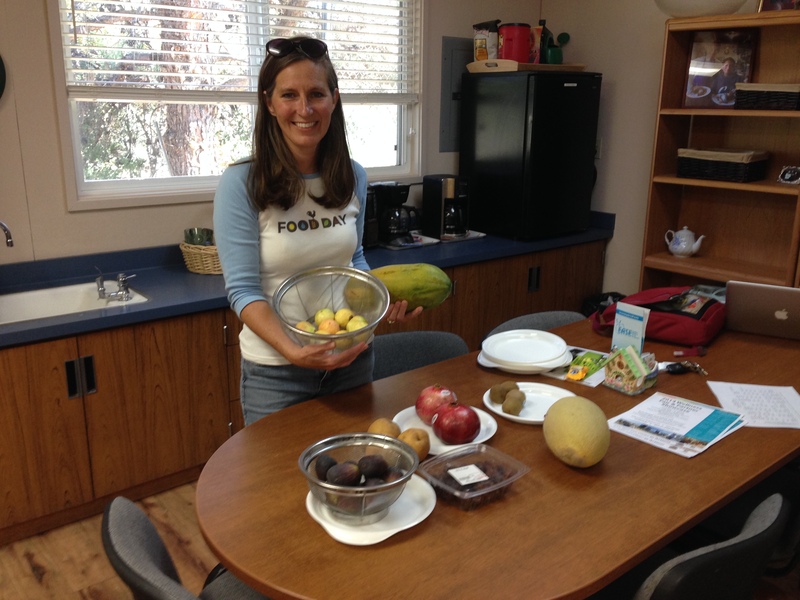 I played a memory game with kitchen utensils and followed with a taste test of guavas, papayas, dates, fresh figs, etc. This entry was posted in National Food Day and tagged agriculture, bike blender, children, Cook Pigs, cooking, corn, crepes, edible education, education, experiential education, Farm Smart, farmers, farms, Food Day, food safety, Jeremy's on the Hill, juicing, Julian, Julian apples, kids, National Food Day, nutrition, Resource Conservation District, smoothies by kidsingardens. Bookmark the permalink. So wonderful! 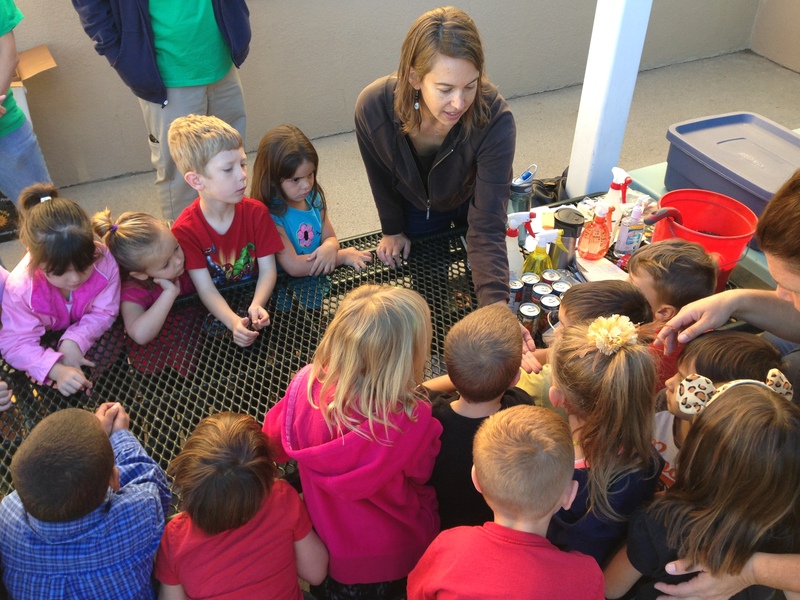 Wish my granddaughter could have this same experience at her school in Phoenix. I’m always available to share what we’ve done, and how we’ve done it, with anyone who’d like to give it a go! Thanks for reading Anne, and for your unfailing enthusiasm…..
Wow, looks amazing. Another day spent wishing I was your next door neighbor. Oh wouldn’t that be a dream! Then you could teach me to garden! 🙂 Love you, dearest…. One reason October was insane, but November is relatively wide open! Speaking of which, can’t wait for next week!